Tim Peake's spacecraft has separated into three sections as it prepares for the final descent for a landing in 15 minutes. 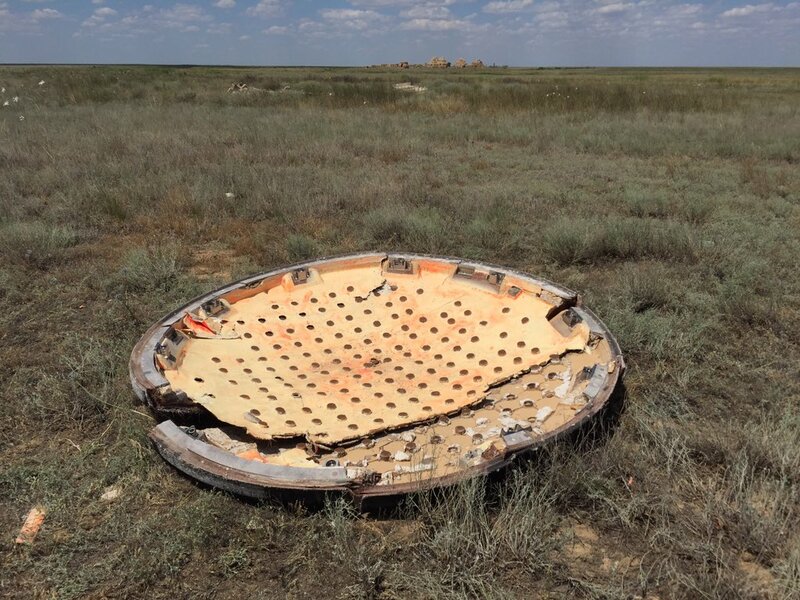 The split will help the capsule withstand searing heats as it re-enters the earth's atmosphere before a parachute descent onto a remote section of the Kazakh steppe. 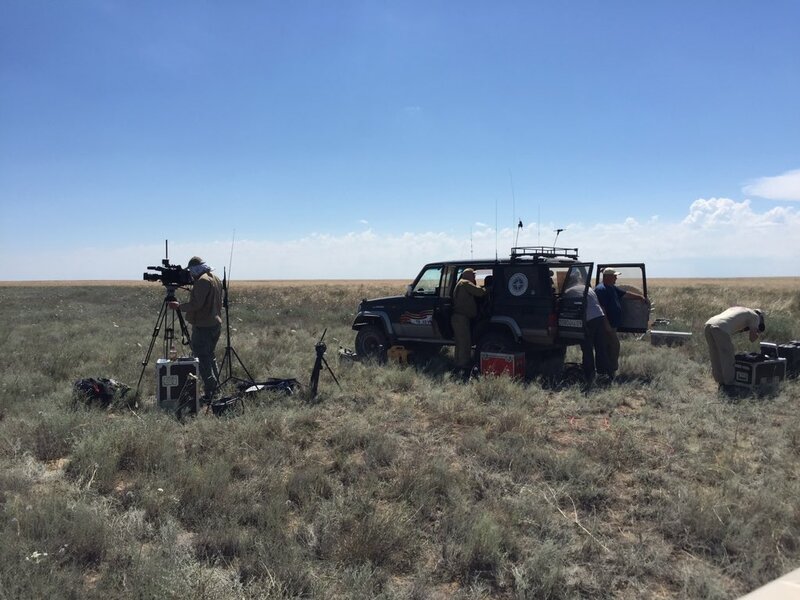 Excitement is building among those waiting to witness Tim Peake's landing back onto earth in a remote section of Kazakhstan. ITV New correspondent Dan Rivers is among the waiting journalists ready to capture his arrival. Meanwhile, thousands of well-wishers have sent the hashtag #WelcomehomeTim trending on Twitter. Having spent 186 six days in orbit, Major Tim Peake is due to return to Earth today. The astronaut from Westbourne, near Chichester, leaves the International Space Station to land in Kazakhstan this morning. He will see his family for the first time in six months. British astronaut Major Tim Peake is set to land in Kazakhstan on Saturday after his six-month mission to the International Space Station. VIDEO: Which question leaves astronaut Tim Peake stumped during live link-up with Kent schoolchildren? Kent schoolchildren had the chance to fire questions at astronaut Tim Peake, as he flew overhead aboard the International Space Station today. Pupils from 23 schools came together to ask him questions via radio link-up from Wellesley House School in Broadstairs. One question asked by a little girl called Scarlett left him stumped: "What is your favourite Shakespearian quote? ", she asked. But science is clearly his strong point and his answer was inspiring. There were worrying moments at the start of the live link-up when Tim Peake didn't seem able to hear messages from the school. Science teacher Kerry Sabin-Dawson said: "There was so much tension in the room, waiting and hoping he would hear us. But he did and that was a wonderful moment." Tomorrow Major Tim Peake will climb out of the International Space Station and become the first official British astronaut to walk in space. For the 43 year old from Chichester it will be the culmination of years of training - but it doesn't end there. In the second of two special reports, Fred takes us behind the scenes of the European Space Agency in Cologne to show how Major Tim prepared for his mission, but just what is it like to live and work in space? Fred finds out by asking Jules Grandsire and Dr Rudiger Seine of the ESA, as well as Tim himself. Astronaut Tim Peake has been in space for nearly a month and on Friday he will make his first spacewalk outside the International Space Station. But you may recall that just before Christmas our very own Fred was privileged enough to visit the European Space Agency - and have a word with Tim just after he landed on the ISS. While he was there, Fred had a good look around the training facility that Tim himself used to prepare for his six month mission - and even grabbed hold of the controls! Here's the first of two special reports where Fred also speaks to Jules Grandsire of the ESA, Dr Rudiger Seine, head of training, bio-medical engineer Jennifer Struble and Eurocom's Andy Orth.